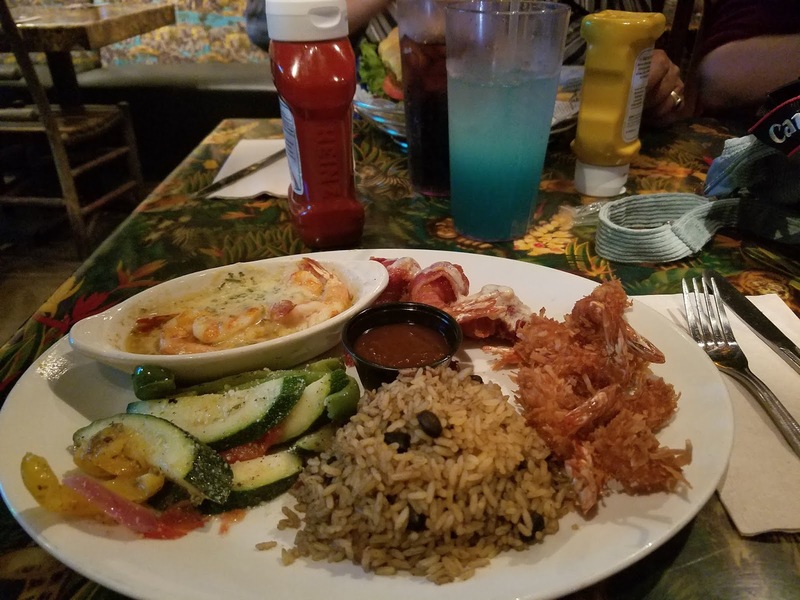 One of my favorite things about traveling is getting the opportunity to eat at new and exciting restaurants! 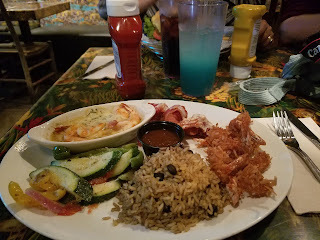 Before leaving for a trip I always do my research so I can try new places each time. Who doesn't like variety? I mean I could save money and just hit up McDonald's every time, but where is the fun in that?! 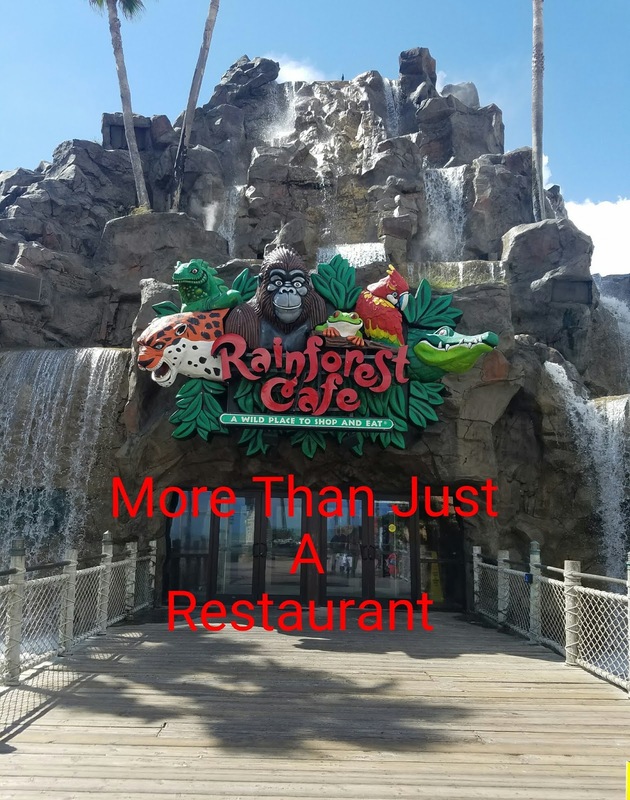 If you're planning a trip to Galveston and looking for a place to eat that's both unique and fun then look no further than Rainforest Café. Walking into the Rainforest Café is like entering into another world. 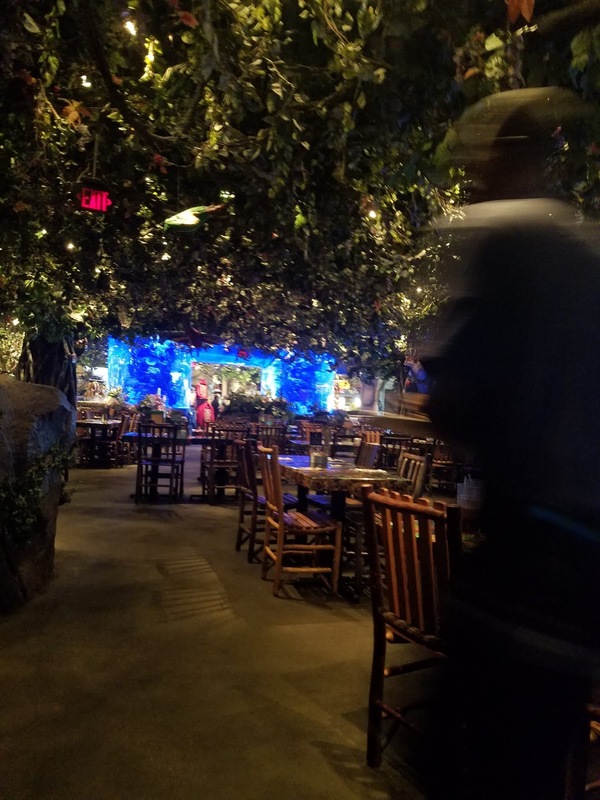 Set up to look like a real rainforest, this unique restaurant makes visitors feel like they are eating lunch/dinner in the middle of the jungle. The animatronics move and make animal noises as if they are really alive! The best part....every 30-40 minutes or so the whole rainforest comes alive. The lights go dim, lightening flashes, you can hear the sounds of thunder, and all the animals get active at the same time making this a truly unique experience that you have to see at least once in your lifetime! 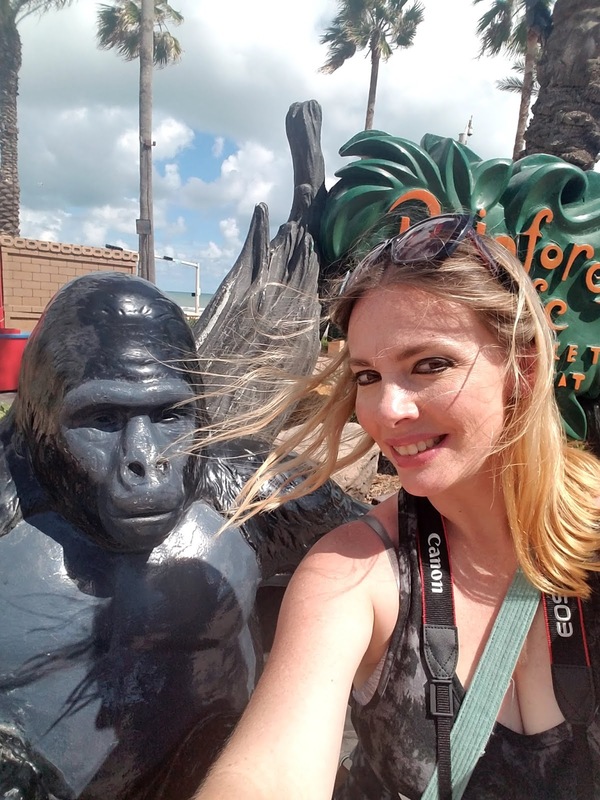 -There are great photo opportunities at the front entrance (seawall entrance) so if you park in the back be sure to walk out front before you leave to get cute snapshots with the family. -If you have small children request to sit in the front by the aquarium. Sitting next to the animatronics or in the back by the waterfall might be too much for little ones. My 2 year old son was terrified of all the animals and the crashing sound of the waterfall made him keep his hands over his ears the entire time. That looks like fun without the kids. But we all have them and take them with us where ever we go. Thabks Mel. I've been without kids as well and it's fun either way. It's only scary for the really small ones. Big kids will be fine.